Gatwick Airport has appointed a world-leading architect to help in its plans for runway expansion. Sir Terry Farrell will help in its proposals for a “constellation of three London airports” with two runways each. Gatwick said competition between it, Heathrow and Stansted was “the best solution for London”. 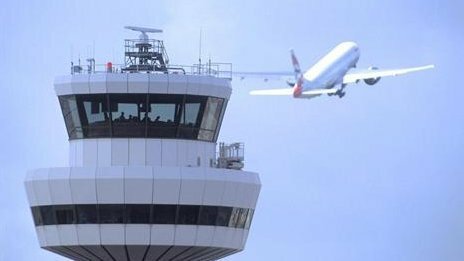 In September, the government announced an Airports Commission to look at aviation in the UK, including how to deal with the South East’s congested airports. Sir Terry’s firm, Farrells, will look at the impact on London of having competing airports of equal size compared to a single “mega-hub” airport. He said: “The world city of London, with the largest aviation market in the world, is the hub and its airport infrastructure needs to evolve and grow around the city. In June Heathrow bosses claimed a third runway would be “cheaper, quicker and better for the economy” than building a new airport. London Mayor Boris Johnson backs a Thames Estuary airport, calling the third runway idea a “giant step back”. Posted: Tuesday, July 9th, 2013. Filed in General News, News about Airports, Recent News.